Going to the moon with your business or reaching the stars? A great presentation template to illustrate the kickoff of your business or sales results. A professional design with a rocket launch theme. Zoom in and insert your own topics. Talk about sales, business territories, sales training, and of course your team on this mission. 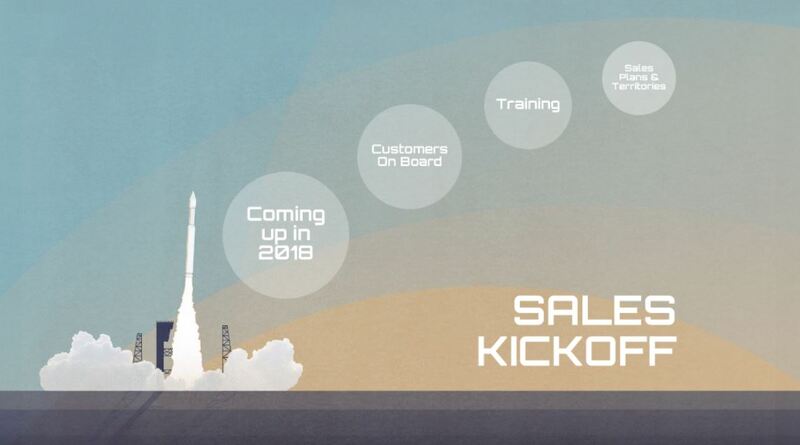 A free Prezi Next template for sales kickoff plan presentation. This entry was posted in Free Prezi Presentation templates and tagged Apollo, business, business launch, business pitch, business timeline, company launch, company timeline, moon, moon mission, rising, rocket, sales kickoff, sales pitch, startup, TimelineLeave a comment.